Manchester City midfielder Yaya Toure has turned down a £520 000 a week offer to play in China, his agent told Sky Sports on Tuesday. Dimitri Seluk said the 33-year-old was targeted by Chinese club Jiangsu Suning in the winter transfer window. The BBC reported he had been contacted again in the current window. "Yaya plays on another level. He wants to play at the highest level. He's happy at Manchester City. Yaya likes football more than money," Seluk was quoted as saying by Sky. Chinese Super League clubs have been flexing their financial muscles, with a number of high-profile recent signings. Shanghai SIPG bought Brazil midfielder Oscar from Chelsea for €60 million, while their rivals Shanghai Shenhua have signed Argentine striker Carlos Tevez for a reported €84 million. Toure had a difficult start to the season but has clawed his way back into City's first-team plans in recent months. 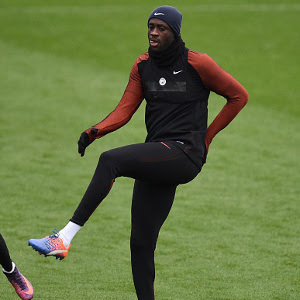 The Ivorian, who had been a midfield mainstay since arriving from Barcelona in 2010, appeared surplus to requirements after the arrival of manager Pep Guardiola in the close season. The Spaniard had sold Toure to City when he was Barca boss. Things got worse when the midfielder was left out of City's Champions League squad, a decision which drew fierce criticism from Seluk, who accused Guardiola of 'humiliating' Toure. In an effort to rebuild the relationship with his manager, Toure apologised fully at the start of November for "misunderstandings of the past" and quickly forced his way back into Guardiola's plans. Toure, whose City contract is up in the close season, has now made 11 appearances since late November.